This fun class is an opportunity for yoga students to get together and celebrate their own goodness, see the light in their friends, laugh, practice to great dance music, and generally have a fabulous time! Sometimes in a yoga class it can be hard to find connection and be ok about smiling and having fun – not this class! We will break down barriers and celebrate the joy of community, and how fabulous it is to be alive. Enjoy John’s upbeat, encouraging teaching and leave class feeling fabulous from the inside out! Fabulous Yoga classes have been going strong since 2011. 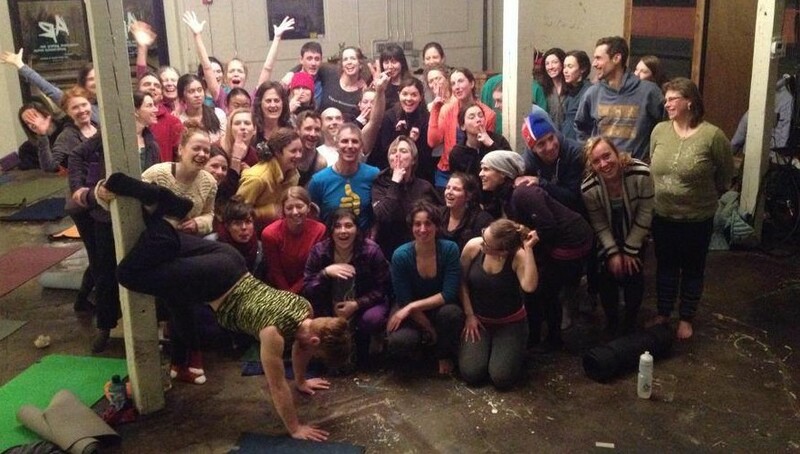 The classes are led by John McConnell, and are an opportunity for people to get together and celebrate their own goodness, see the light in their friends, laugh, practice yoga, listen to some great music, and generally have an awesome time! In regular yoga classes it’s not always encouraged to have fun and meet the other people you are practicing with and be part of a community – Fabulous Yoga is all about breaking down barriers and celebrating the joy of community, and the joy of being alive.